May 13th is Mother's Day. 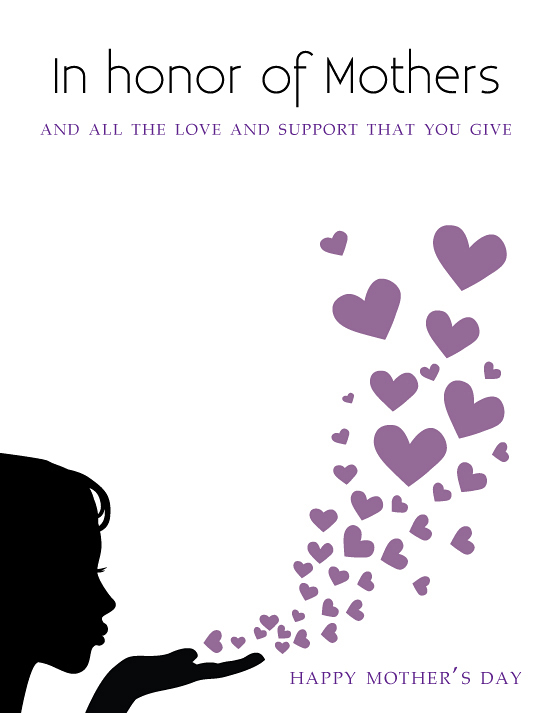 Mommies world wide will be receiving the token card, dandelions picked from the front yard or lilac bouquets cut from the backyard bush. There will be breakfasts in bed and dinners out. Some moms might even get to put their feet up for the day, or attend a spa to relax. (Good lord...decadence!) Moms with teens may get a quick kiss on the cheek as they dash out the front door. For single moms or moms who are in circumstances in which no one will remember the day, they may have to honor themselves...which leaves me feeling sad. But then I remember, whatever happens on Mother's Day...because we're moms...it will be enough, or at least we'll tell ourselves that because the lot of us are strong women. We do our job because it is honor and our duty. We certainly don't do the hard work in order to be rewarded on this one obscure day. For me, this Mother's Day is a milestone of sorts. THIS Mother's Day will be my 18th Mother's Day, and that actually means that my first child will be graduating high school. He is considered by society to be an adult. Many of the people that I work with and acquaintances of mine (through my children of course) are experiencing the same type of pairing. Their's may perhaps be a bit different. 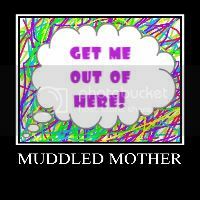 Four Mudders that I can think of will be experiencing their last Mother's Day with a "child" in the home. Their son's or daughter's graduation marks the end of their direct parenting journey as their last offspring or only offspring will walk across that stage and out the door onto bigger and better things. And oh, yes, of course, once a parent, always a parent...but...it is different when they are gone. The teenage years have prepared us for the fact that we are no longer even a blip on their radar, but that blip will be much fainter it seems when off chasing their dreams and lives and wonders, stretching their newly free limbs. It is as it should be. All moms would say...it is as it should be. So Mother's Day is our day, and graduation is their day. That is the way the world sees it. However, this year, I want to see it a little differently. Not just for me, but for all of Mudders. When or if we get those cards, flowers, dinners out, or a quick text that reads, "Hpy Moms Day 2 U", I am not highly convinced that they, our children, are even aware of what they are saying "Happy Mother's Day" for, except for the fact that the calendar indicates it is the day designated for that phrase. And so for the all Mudders and especially the Mudders who have children graduating this year, I want to tell you, reassure you that I know, heck, ANY mother knows of the things you have done, the sacrifices you have made, the needs you put aside, and for all of that I want to thank you. I want to honor you. I want to let you know that I know even if there is no one else around who will tell you, I believe that when it comes to your children, you have made the difference. You have done what you should have. You have worked hard. It is time that someone tell you how important, good and necessary the things were or are that you did on a daily basis, and it is high time you know you are appreciated for those things. So an open letter of thanks and joy to you dear Mudders. Happy Mother's Day, for real. Remember when you were pregnant and had those back aches, head aches, knee aches, hip aches but you wouldn't touch a pain killer so as to protect the new life growing inside you? For that dear Mudder I thank you. Oh and who could forget the labor pain, leaking boobies, sore whooo hooos, long nights spent rocking a screaming infant. Who could forget the milk stained, spit up stained, baggy tee shirt and sweatshirt ensemble that you wore for months on end even though before being a parent Macy's was your best friend. For your ability to put your child over your need to be fashionable, I thank you. For all of the parent conferences that you attended, for the lists you made, the questions you asked. For all the homework that you helped with, the late night Walmart runs to quiet a panicked child who forgot to do a project, for all the instrument practices that your tired and shell shocked ears endured, the teachers that you communicated with, for the birthday treats that rivaled Martha Stewart that you were determined to make even though your fingers and brain were weary from a long day of work, for the passion that you had for your child's education, and especially....ESPECIALLY for the vitriol, rolled eyes, perhaps even names that you got called because of you unwavering expectations that your children do their best in school, ALWAYS their best. Mudders, you should be proud. For those things you did behind the scenes that no one knew about. You know what I am talking about...maybe you whispered into the best friend's ear of the girl your son liked that he was too shy to make the first move. You and I both know that that little nudge is why they are together today. Don't forget the constant encouragement you gave him or her. When they sing that solo, are asked to join an exclusive group of performers, when they smack that ball over the fence, when they succeed beyond their wildest dreams, don't forget Mudders, don't forget that your persistence and steady reassurance and confidence in their abilities helped them to get where they are. Others may not give you a bit of credit for your part in their successes, but dear Mudders being the purveyors of your children's dreams, that is nothing to scoff at and so I honor you. I honor you for being, as the song says, the wind beneath your children's wings. Thank you Mudders. Thank you for all the little things you did to make your children's lives special; the memories you helped to create, the traditions you established. Those vacations to the ocean, to Disney World, to Universal Studios. Scraping and scrounging and foregoing that class you've always wanted to take in order to have enough money to stay in that hotel with the cool pool. And OH the holidays, the sewing and gluing and searching for the absolutely have-to-have Halloween costume. The lunches you gave up to dash over to the elementary school to watch the Halloween parade. The Christmas trees you trimmed, the gifts you wrapped, the over-the-top plans you made on their birthdays so they knew they were special and loved and cherished. What were you thinking when you undertook that castle cake? Oh the hours spent on those themed cakes! Those traditions, those holidays, those vacations will be memories that they will have forever, long after you have left this earth. Perhaps they will continue those traditions and so in a way...your influence will last and last. For the sleepless nights you endured. For the fevers that you cooled. For the throats that you soothed. For the hours spent in hospital rooms. For the books that you read. For the promises made and the prayers said, for your determination to be a better mom than the one you learned from, for your persistence in the face of even the most daunting challenge. For ALL that you did because your children deserved it...for the love that you freely gave even if it came in the form of some hard lessons, for the molding and the shaping, for the muscle fatigue from the chiseling, for those lean times when you went hungry so they could eat, when you went without so that they could have. Mudders for all you have given unconditionally, I honor you. I revere you. You are appreciated. As one of those mothers who will be watching the last child leave very soon, Thank you Logan. No one gets it like another mom. Thank you for that. For reminding me of exactly why I do (and will do) that all. Because as I read it I am so pained at how my mother didn't do that for me. And that ache is something I'd never want my children to feel.